« get the STINKY out of your life! We welcome Alex Brandon, owner of Ralph’s Organic Garden in Massachusetts – makers of “CBD that makes you feel good.” Much has been written about the healing powers of CBD oils, and here’s your chance to learn first hand, and ask questions. CBD, short for cannabidiol, is a natural compound derived from the hemp plant. CBD is one of over one hundred cannabinoids that are active ingredients found in the cannabis plant family. For a multitude of reasons, CBD is believed to support wellness for those held back by a wide range of ailments, such as arthritis and muscle pain, with no side effects. 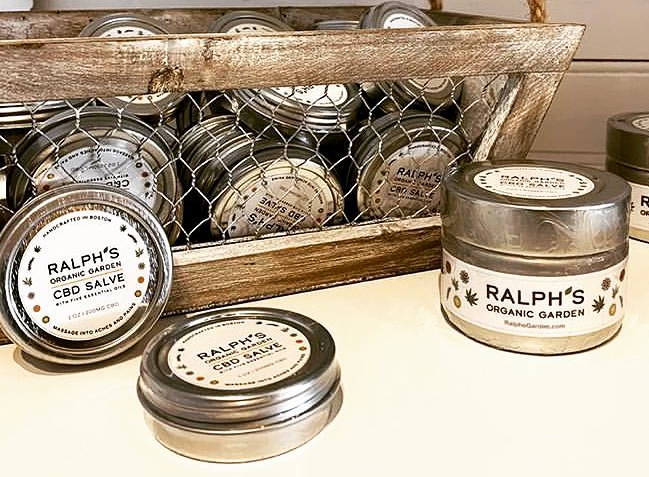 Ralph’s Garden CBD products are derived from hemp, not marijuana.